The Senate President and presidential aspirant of the Peoples Democratic Party (PDP), Dr Bukola Saraki, has appointed Doyin Okupe as chairman of the media council for his campaign organisation. In a statement issued on Tuesday, the Director General of the Bukola Saraki Campaign Organisation, Mohammed Wakil, said Dr Okupe will work with other professionals on the team to effectively communicate the campaign messages of the Senate President to Nigerians and the international community. 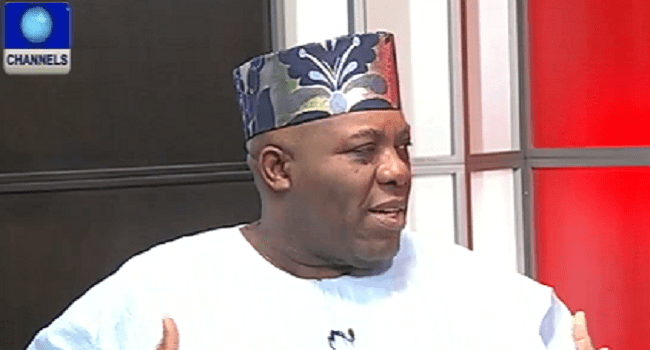 Okupe who is a medical doctor and politician has served as the National Publicity Secretary of the defunct National Republican Convention (NRC) in the aborted Third Republic. He has also worked as the Director of Communications during the presidential campaigns of two former presidents, Olusegun Obasanjo and Goodluck Jonathan. He later served as a Senior Special Assistant on Media and Public Affairs to both Presidents.